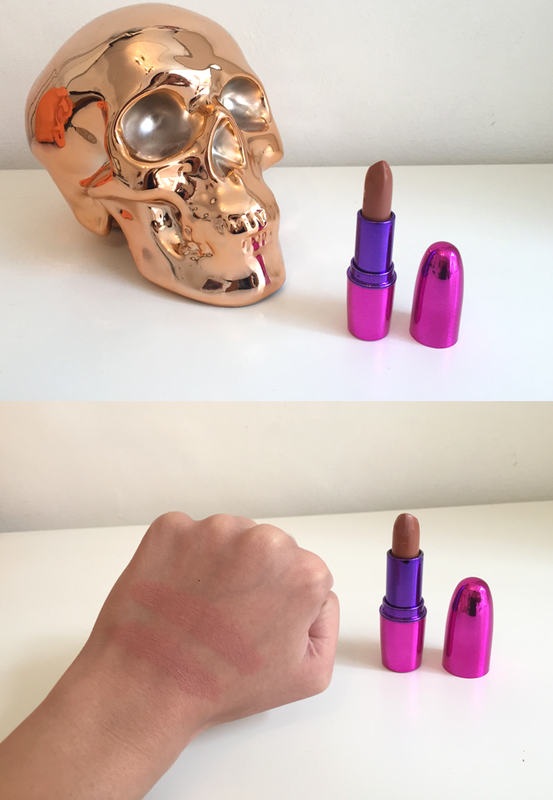 I have been meaning to put this review together for a while, I finally found a lipstick that matches my skin tone perfectly and provides a perfect companion for my smokey eye make-up. Meet the I heart Makeup Lip Geek lipstick, (quite a mouthful! ), in the shade: A Smile is the Best Makeup. Made by Make-Up Revolution, this range is perfect for lips that need moisture because of the gorgeous, creamy texture. First of all, lets start with the packaging - hello eye catching! I really love the 80's Barbie doll packaging, I definitely makes it easier finding this in my make-up bag.